The participant group had varied levels of singing experience, from professional actress, to someone who had never previously sung in public. This variety, I believe, only enriched the whole learning experience. (Although the level of experience was varied, the raw talent of the group was pretty darned high) Each of my fellow students was enormously supportive and just plain wonderful. As is usual for a program like this, there was much sharing of feelings and emotions, for you never really grow as a singer (and a person) without that. I cannot adequately express the joy I felt being around them, and how much I miss their company. Our days began with optional stretching/warming up exercises led by program director Michael Mele. 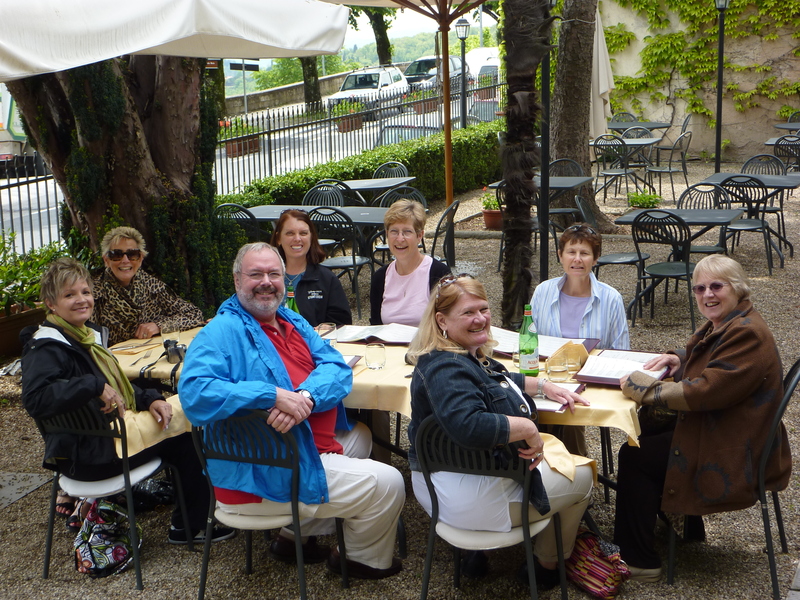 Breakfast followed, then we had morning and late-afternoon classes, with a 2 to 3 hour break in between, which follows the classic Italian day. Dinner, ably provided by Program Director Linda Mironti (who also proved to be a powerhouse jazz/cabaret performer), followed the evening class. 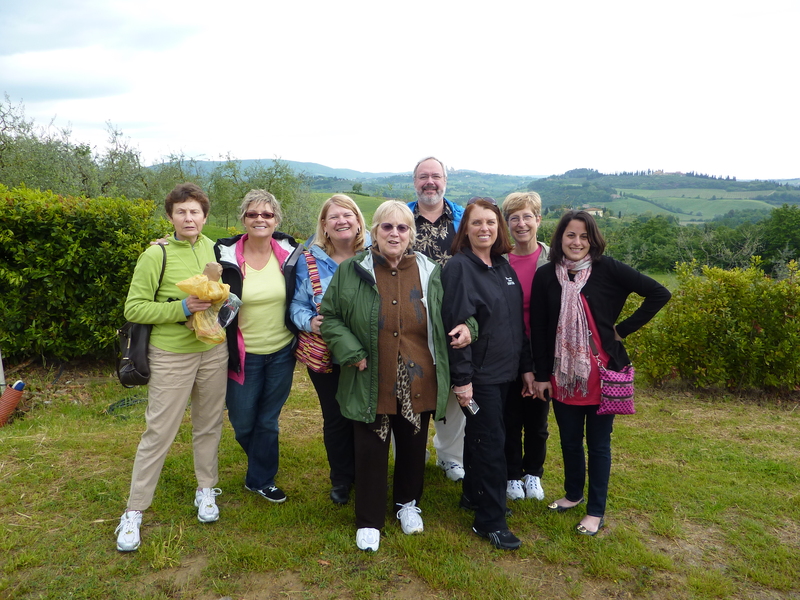 We were provided opportunities to tour neighboring towns and cities between morning and evening classes, if we wanted to. I always did. Why wouldn’t I? Not only did we have group classes, but also had separate private sessions with Mary Sugar, and the Amanda and Suzanne team. Suzanne’s vocal techniques and exercise were right on target, eliciting not only vibrant sounds, but doing so without creating any tension in the larynx. It clearly extended my range in just a few short days. And it hopefully will increase the longevity of my singing career (what it is) by not damaging my vocal chords. I worked on about 6 or 7 different songs, which hopefully will make it into my next show. One of the songs I worked on was “The American Hymn” (the theme from the min-series East of Eden). It is a glorious expansive ballad. 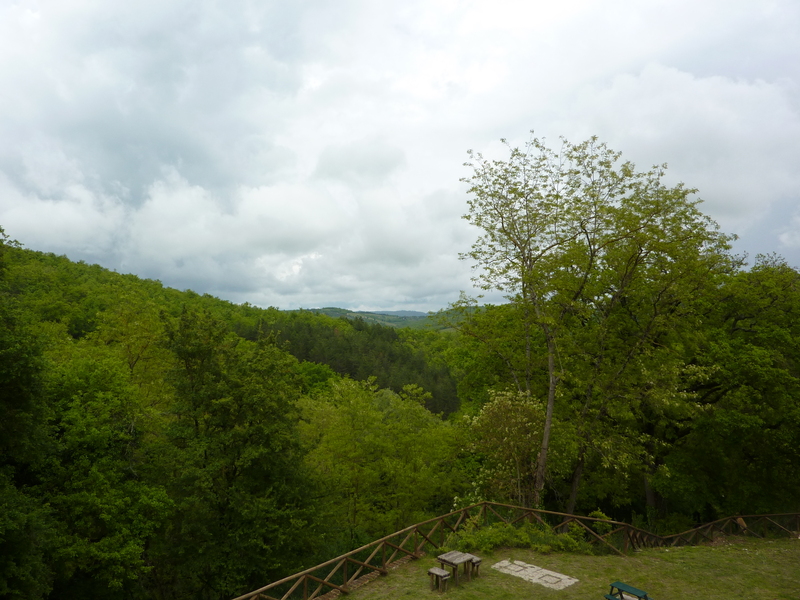 During my working on the song, Amanda stopped me, had the whole class go outside, and she had me sing it out towards the green flowing hills surrounding San Fedele. That picture is indelibly etched in my brain. Thank you Amanda. Needless to say the food was amazing. The cooking, according to Linda, was fairly simple, (I sincerely doubt that), but the local produce, much of which was picked earlier in the day, was what provided the flavor. 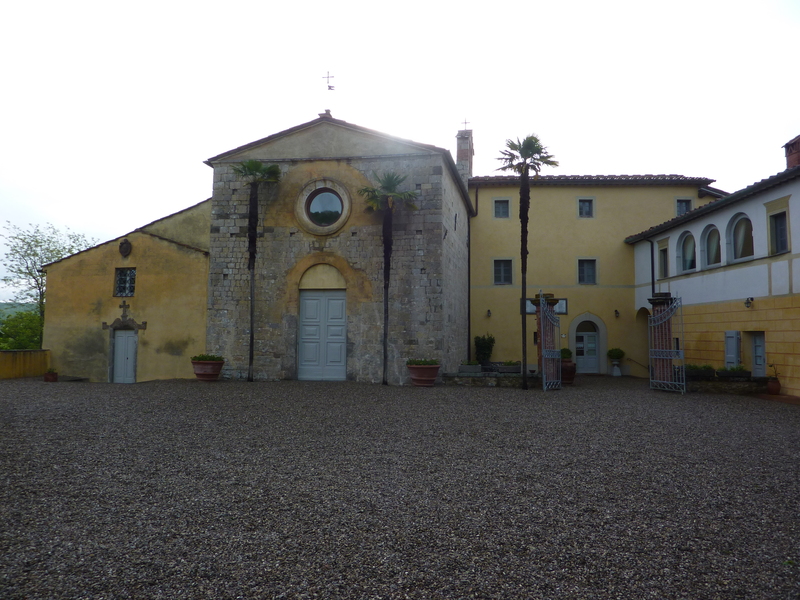 Our hosts, and owners of San Fedele have a real passion for the arts, and for the history surrounding the monastery. This entry was posted on Sunday, June 6th, 2010 at 7:44 pm and is filed under Reports, Ron-ing Around. You can follow any responses to this entry through the RSS 2.0 feed. You can leave a response, or trackback from your own site. NICE Ron! Oh boy. You deserve that wonderful outing and I’ve not doubt everyone was as blessed by you as you feel blessed by them. XOXO!! Wow! Sounds like a wonderful experience, Ron. Thanks for sharing it here.